Maximize the amount of fat you lose while training on an empty stomach (in a fasted state). Minimize the amount of muscle you lose. And it accomplishes these goals with clinically effective dosages of beta-Hydroxy beta-methylbutyric acid (HMB), yohimbine, and CDP-choline. Together, these molecules help you burn more fat--and “stubborn fat” in particular--when taken before fasted exercise, reduce exercise-induced muscle damage, and improve focus. All that is why FORGE has over 440 reviews from customers on Amazon.com with a 4-star average, and another 260+ on our websites, with a 4.5-star average. 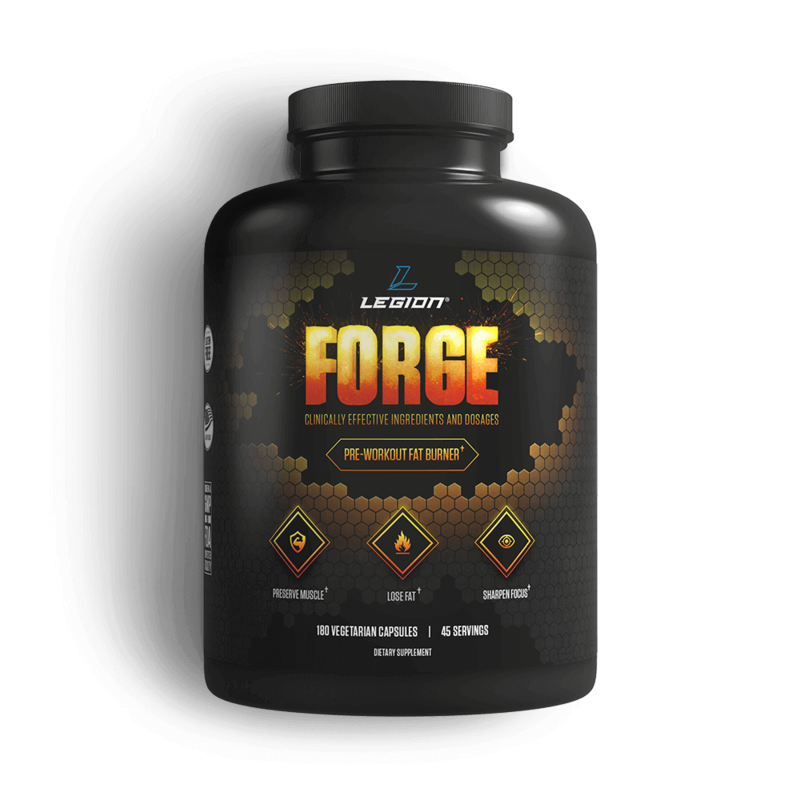 What FORGE is not, though, is cheap, so if you’re concerned about the price, I understand--you can get a fat burner for a bit less. Remember that you get what you pay for, though, so generally speaking, the cheaper a supplement is, the less effective the formulation. Place your order now and if you don’t absolutely love FORGE, just let us know and we’ll give you a full refund on the spot. No complicated forms and no return necessary. You really can’t lose, so order now and get ready to burn stubborn fat faster, lose less muscle, and have better workouts while cutting. Take one capsule per 50 pounds of body weight 15 minutes prior to training. If well tolerated add one capsule per use until reaching one capsule per 25 pounds of body weight.